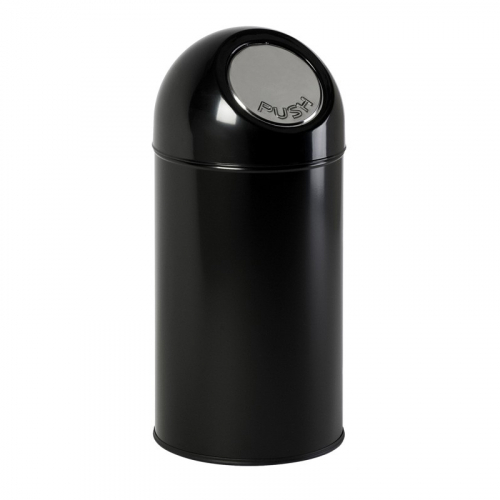 Suitable for environments such as offices, schools, colleges, libraries and leisure centres, our bullet bin is a sleek and elegant solution to waste collection. 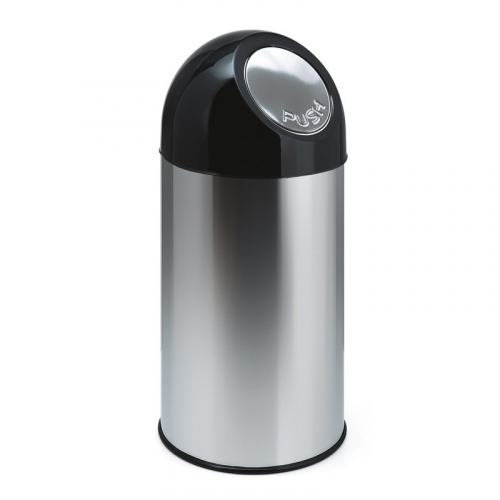 The bin is constructed with a steel body and plastic dome head which prevents everyday wear and tear. The chrome 'push' flap is manufactured from stainless steel which is easy to clean and operate. For a larger capacity, see our 55 Litre Bullet Bin.